Moscow (AFP) - A suspect in the nerve agent poisoning of a Russian ex-spy in Britain in March is a colonel in Russia's GRU military intelligence agency, investigative website Bellingcat alleged on Wednesday. Bellingcat, a Britain-based team of investigators that specialise in trawling through online data to expose Russia's involvement in foreign conflicts, said the man identified as "Ruslan Boshirov" by Britain is in fact named Anatoly Chepiga. 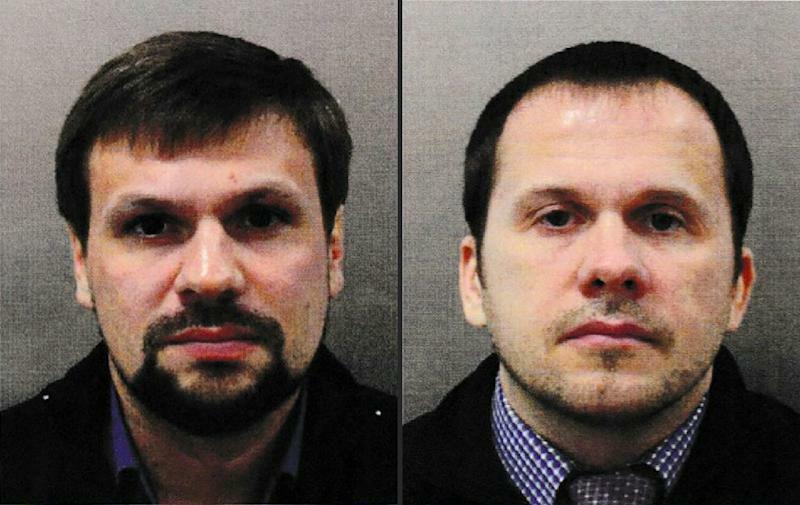 British security services in September named Boshirov and Alexander Petrov as suspects in the nerve agent attack on former spy Sergei Skripal and his daughter Yulia using a nerve agent called Novichok, but said these were likely to be aliases. After they were identified, two men using these names appeared on Russian television to insist they were mere tourists to the English city of Salisbury. "Boshirov" denied working for the GRU. 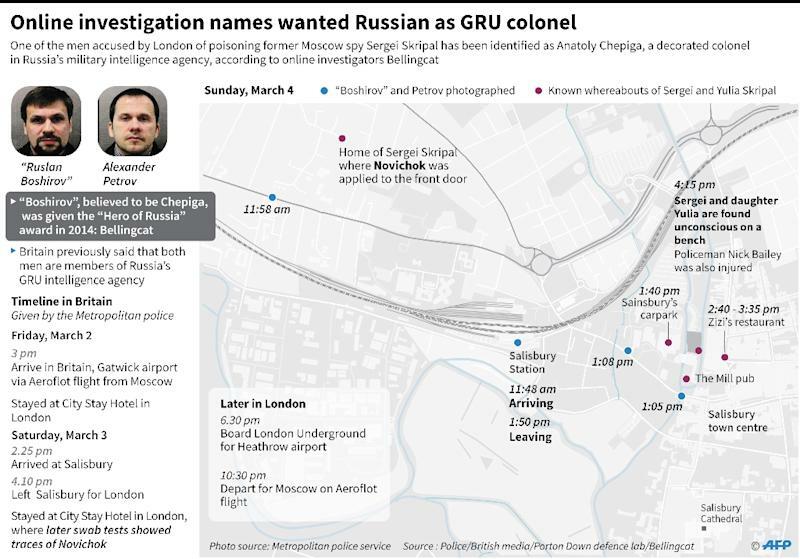 The new report says Chepiga is a highly-decorated GRU officer with the rank of colonel, who assumed the identify of Ruslan Boshirov for his undercover mission in Britain. The report included a passport photo of Anatoly Chepiga from 2003. It resembles a younger version of the photo of "Ruslan Boshirov" provided by British authorities. British Prime Minister Theresa May has said that the men suspected of the poisoning were members of Russian military intelligence acting on orders from a "high level." Chepiga was born in 1979 in the village Nikolayevka in the Russian Far East and finished a prestigious military academy in the region, said Bellingcat. He then served in the special forces of the GRU. A regional branch of the paramilitary organisation DOSAAF states on its website that Chepiga went on three tours in Chechnya while in the special forces, and was awarded the Hero of Russia award in 2014. There is no official record of him receiving the award, traditionally issued by the Russian president, suggesting it was for a classified mission. Russian President Vladimir Putin said this month he knew who the two suspects were, and that they were "civilians, of course."